A book about one of the South Island’s most shocking multiple murders has been published by Canterbury University Press to mark the 150th anniversary of the crimes. 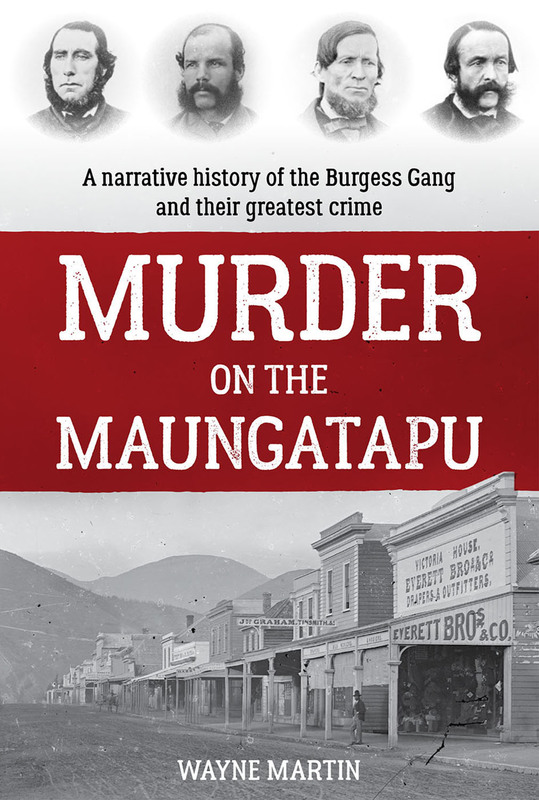 ‘Murder on the Maungatapu’ presents for the first time the full story of the Burgess Gang, the events leading up to the cold-blooded killings and the aftermath. In June 1866, five men were murdered by the gang on the Maungatapu track, which connects Nelson and Marlborough in the upper South Island. Motivated by greed during the gold rush, the four notorious bushrangers left a trail of devastation and destruction through the surrounding communities. Author Wayne Martin says the crimes were unparalleled in colonial New Zealand for their scale and cold-bloodedness. There was also a suspicion that they murdered many more people on the West Coast than the one known – that of surveyor George Dobson. The book examines the evidence for these other killings. The author was inspired by reading the autobiography of Burgess and the multiple points of view evident in contemporary newspapers, and in various writings and testimony by Sullivan, who turned Queens’s evidence against his associates. “Most of the books on the subject, including two written in the 1950s, essentially retold the infamous confession by Burgess. However Sullivan’s version, particularly in respect to who did the killing, was diametrically opposed. By reviewing and analysing corroborative evidence, Martin has written a historically accurate sequential narrative of the events, which also provides windows into the New Zealand gold rush and legal system of the time. Wayne Martin is a Christchurch-based writer, history enthusiast and mechanical engineer. His articles, usually destination pieces with a strong historical backdrop, have appeared in Avenues, the Dominion Post, NZ Today, AA Destinations, Australian Traveller and Latitude magazine, among others. In 2009, Martin won the South Island Writers’ Association Suffrage Cup for a short memoir. In 2013, he wrote the corporate history, Strength to Strength: A 75-year history of Powell Fenwick Consultants. 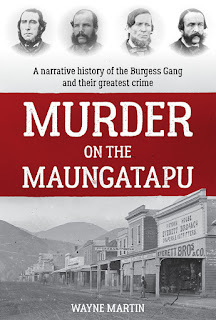 Murder on the Maungatapu: A narrative history of the Burgess Gang and their greatest crime by Wayne Martin, published by Canterbury University Press, June 2016, RRP $45, ISBN 978-1-927145-74-6.